The Notice of Race (NOR) for the 2019 Mariner National Championship Regatta scheduled for August 23-25 at Brant Beach Yacht Club, New Jersey has been posted! The regatta is open to all members of the Mariner Class Association. The entry fee is $160 and includes Friday refreshments, a tee-shirt, continental breakfast, make-your-own lunches, a dinner Saturday night and refreshments Sunday after racing. After Augst 9th, the entry fee will be $180. Be sure to visit Brant Beach's website for more information including a schedule of events and the printable registration form. You may also contact the regatta Chair, Ginny Iverson, at ginnie.iverson@gmail.com. Want to buy a Mariner but not really sure what to look for? Is that weird stain just cosmetic or indicative of a structural issue? Does that problem need to be addressed immediately, or can it wait for another time? Is that other thing a deal-breaker, or can I use it to negotiate a lower price? Check out our inspection guide to help you be better informed when looking at a Mariner you may want to buy. Enter your email address below. If your email address is on file, your user name and a new password will be emailed to you. Enjoy Our Many Benefits - Become a Member! The Mariner is a 19-foot fiberglass sloop first manufactured by George O'Day in 1963, and currently produced by Stuart Marine. Over 4,000 boats have been constructed and can be found all over the country and even internationally. 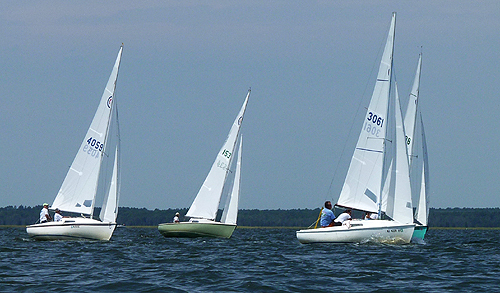 The object of the Mariner Class Association, founded in 1966, is to encourage and promote the use of the Mariner as an economical daysailer, racer and cruiser; to keep the boat safe; to develop Mariner Class racing under uniform rules with Fleet regattas and an annual National Championship and to maintain the one-design features of the Mariner as originally intended by the Designer; to develop and support family sailing opportunities with regional cruising events and an annual Mariner Rendezvous. The Association publishes a newsletter, appropriately named Notice To Mariners, which is sent electronically to all members about four times a year. Through the newsletter, our forums and the plethora of information on the website, members can learn from highly experienced Mariner owners about maintaining, tuning, restoring, cruising, and racing a Mariner. We hope that you enjoy your visit to our web site and that you will soon enjoy the many benefits of Membership. Become a Member - Click Here! Why buy a Mariner? Why join the Mariner Class Association? 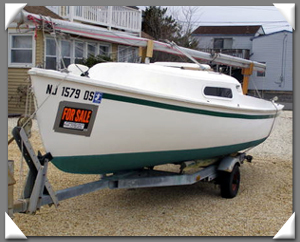 • A perfect boat for novices and experienced sailors Click here to see more benefits! Buying a Mariner? Here's the help you need!